Marriage of convenience stories are one of my favorite tropes, so the premise of Romancing the Bride quickly caught my eye. The added bonus of Melissa Jagears being the author sold me on this book. I’ve read some of her books before and always thoroughly enjoyed them, and this one didn’t disappoint. 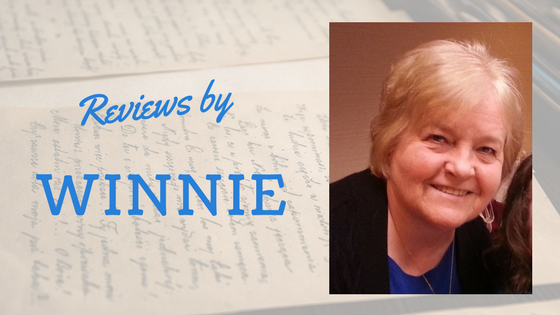 The characters were well-drawn and engaging, the storyline was intriguing, and the tender message of the healing that only God can provide added a depth to it. Jacob is such a selfless, upstanding hero, and Annie is a struggling heroine who is trying to overcome a tragic past and provide for her children. Though there were a few parts that I felt could have been a little more tightly written, the story left me feeling satisfied and eager for another of Jagears’ books. *I voluntarily reviewed a complimentary copy from the author. All opinions are my own. Desperate to keep the ranch where three of her children and a husband lie buried, Annie Gephart must marry or sell. Which of the few bachelors in town would consider a surprise proposal to wed a plain widow with a rebellious daughter, a spirited boy, and unpaid taxes--without laughing in her face? Jacob Hendrix has never fully let go of his ranching dreams despite ending up as a small Wyoming town's marshal. The job wouldn't be so bad, except he's more errand boy than lawman. When Annie proposes marriage without a single coquettish bat of an eyelash, can he commit himself to a woman he hardly knows for a choice piece of property he'd be an idiot to pass up? But taxes aren't all that threaten Annie and Jacob's plans. Cattle rustlers, crumbling friendships, and wayward children make this marriage of convenience anything but. When they lose what they've sacrificed everything to save, will the love of a stranger be enough? 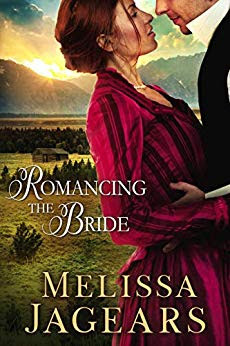 Romancing the Bride is the first book in the Frontier Vows Series by award-winning Christian romance author Melissa Jagears. If you like heartwarming marriage-of-convenience stories, you'll love this sweet romance filled with endearing characters.